Santa Claus Olaf is here! I haven’t created a Christmas outfit for our favourite snowman before, and it’s high time he got into the spirit of the holidays! 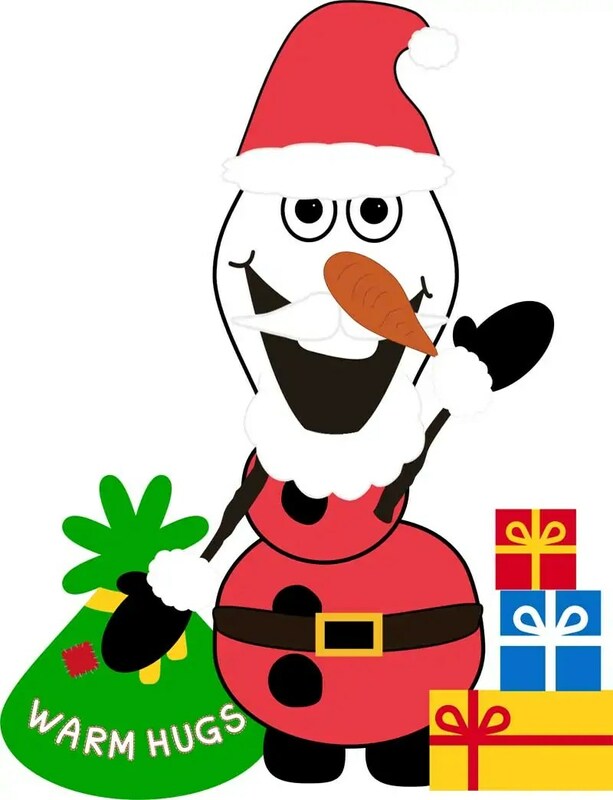 Keep a look out for another two festive Olaf printables throughout December! My original Olaf is my most popular free printable of all time, with over 87K shares on Pinterest. You’ll find the Winter (original Olaf) Edition here, the Summer Edition Olaf here, the Halloween Edition Olaf here, Mardi Gras Olaf here, St. Patrick’s Day Leprechaun Olaf here, and the Easter Bunny Olaf here. In the Santa Claus Olaf Edition you get: Santa hat, beard and moustache, gloves, red body parts, belt, black boots, sack of warm hugs, and a stack of gifts. As in previous editions I’ve provided two paper sizes – A4 (UK) and 8.5 x 11″ (US). You can download the regular size, which creates a small Olaf, and comes on one sheet. As I did with the St. Patrick’s Day Olaf, I have had to remove some of the eye to make room for the other pieces, but you can download one of the earlier versions to get those if you need them. The large size, which will give you a much bigger one (obvs)! Those pieces are spread over several sheets of paper. I had feedback that the regular size was a bit fiddly to cut out, but provide them as they’re still requested – I hope to keep as many people happy with these free printables! 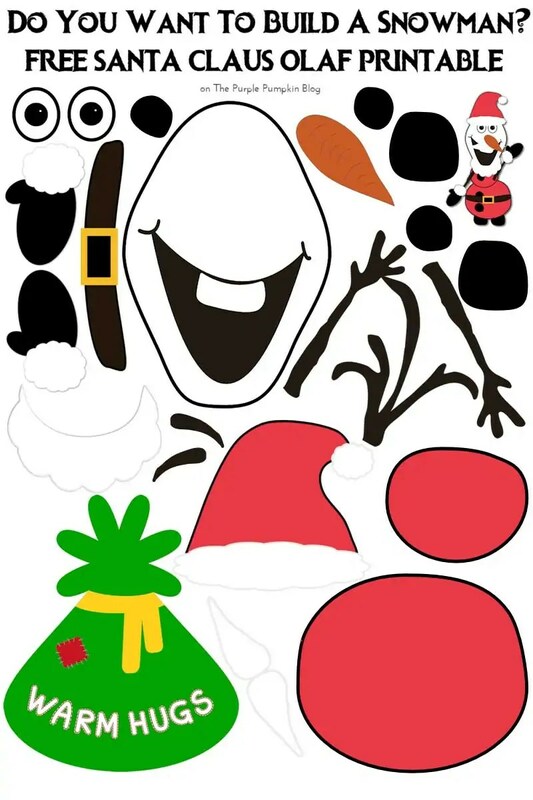 Simply print onto white card, cut the pieces out (young children may need help) and build a snowman! You can stick the pieces together with a glue stick if you like. Some readers have shared their Olafs with me, and have used other craft supplies like glitter and cotton wool for snow, then mounted them on larger pieces of paper. Others have laminated the Olaf pieces, which I think is a great idea! This post contains Amazon Affiliate links. 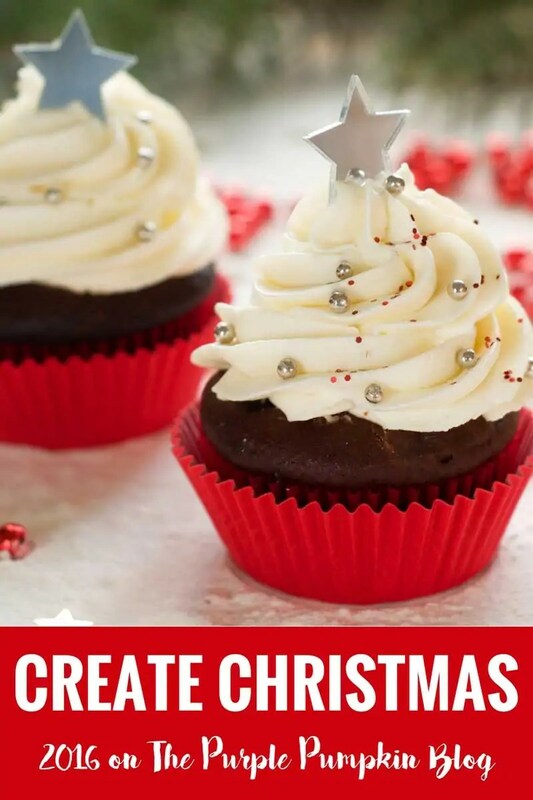 As always, if you’ve used my printable I’d love to hear about it! Why not share your Olaf with me on my Facebook page? Make sure you’re following my blog, or subscribed so that you don’t miss out!